Ray serves as Community Bridges' CEO, overseeing a nonprofit with a $15 million budget. Hailing from San Francisco, Cancino has an extensive background in human services and holds an MA in public administration. ​Previously, he was with Catholic Charities CYO San Francisco, a multi-service nonprofit serving families & seniors. Fluent in Spanish, he's been a case manager in a family services center and union president of SEIU 1021 at Catholic Charities CYO. 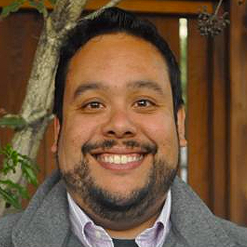 He has worked with collaboratives; developing new funding sources and building programs throughout the Monterey Bay and San Francisco Bay regions.